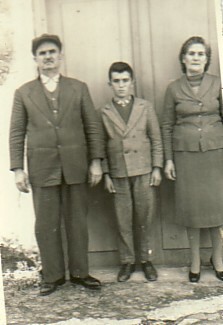 Above: With my parents, Panagiotis and Aglaia. 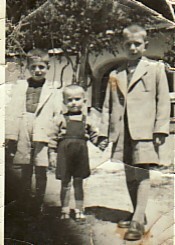 Above Right: With Ioannis Tzivas and Takis Anagnostis. I am in the middle. Above: With my friends, Nikolaos Hatzidimitriou and Georgios Samaras. I am on the right. 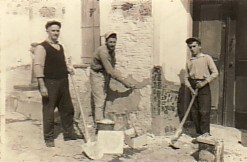 Above Right: Rendering our house with my father, Panagiotis (left) and Efstratios "Sovatzis". 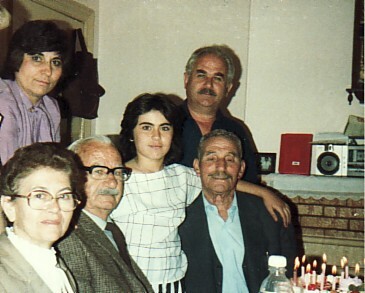 Above: My wife, Stella (standing left), with Eleni and Georgios, my daughter, Aglaia, Vasilios and Chrystofas Anagnostis. 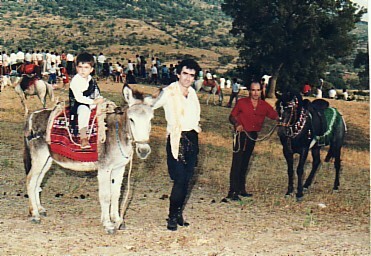 Above Right: With my son, Panagiotis, at the panygiri of Agios Haralambos in Napi. 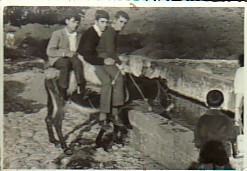 Above: Two photographs at the panygiri of Agios Haralambos, organised by the Cultural Association of Agia Paraskevi, Melbourne. 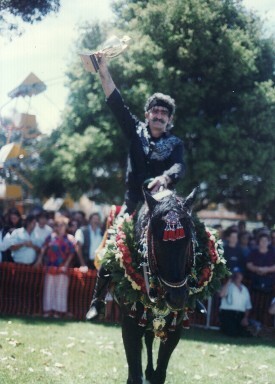 On the left, the President at the time, Christos Klidaras, awards the prize for best rider (1991), while on the right, I am parading the trophy I won for best rider. 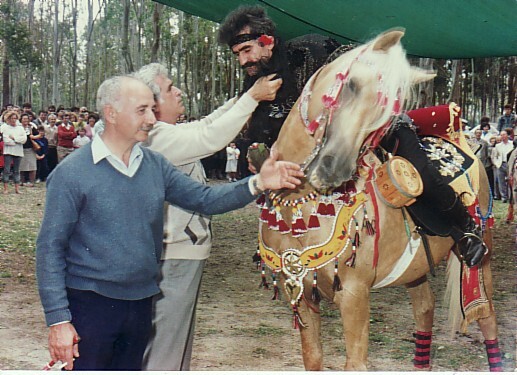 Above: With horiani. 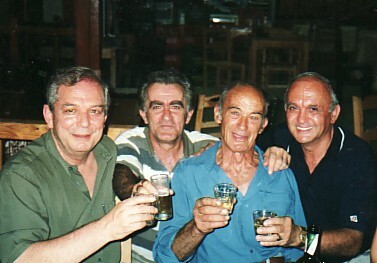 L-R: Takis Anagnostis, myself, Efstratios Mimikellis and Haralambos Kalogeras.